The article was written by Yuval Gov. As a writer who specializes in Bitcoin and crypto, I began to receive random phone calls from childhood friends, Facebook friends whom I barely recognized, and more. From their mouths came just one question — how do you buy Bitcoin? By December 2017, I had been ‘attacked’ by messages and calls from an ever-widening circle. There were people who knew me from all stages of my short life, including elementary school and high school friends, friends of my parents, even Facebook friends I had not spoken a word with for over a decade, everyone wanted just one thing — not to be left behind and to be among the holders of the rising stars Bitcoin, Ethereum and “the currency of the banks” (aka Ripple). What about Joe from November, who had already doubled his investment in less than a month? He was drinking Heaven’s wine — a mutual friend of ours said that he was buying even more Bitcoin and had also bought some altcoins (altcoins are considered more volatile than Bitcoin). What’s the real answer? It was reasonable to expect that “violence causes more violence” — an asset that rises rapidly is likely to fall even quicker. Needless to say, no one stands in line anymore to buy Bitcoin — how ridiculous. 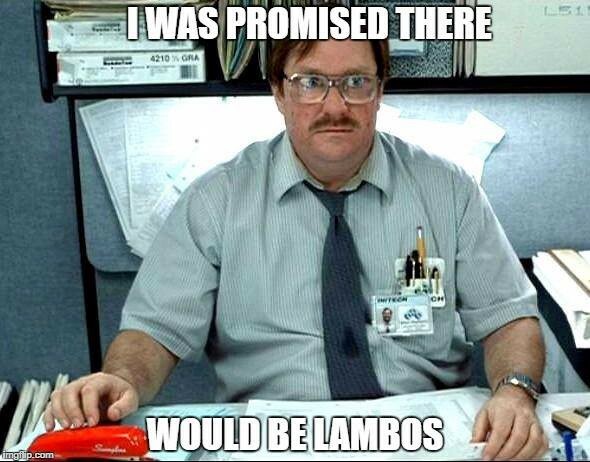 There was an endless demand for Bitcoin at the $20,000 price, but at $9,000 there was no demand. You are welcome to replace the word Bitcoin with any other product desired (i.e., iPhone X) and understand the absurdity. I will elaborate on this at the end of this article. Like Bitcoin, there was also the real estate bubble — known as the Sub-Prime crisis of 2008, the Internet or Dot-Com bubble of 2000, and if we go back in time, there was also the 17th-century tulip bulb bubble in the Netherlands. - Buy low, sell high. This is so simple but so difficult to implement. Why was the demand for Bitcoin at its peak when Bitcoin was the most expensive? And at a sale price of 80% discount, there is no one willing to buy? A quick look at the asset’s long-term chart (in this case Bitcoin) will show a perspective on the current price compared to its past. - Bitcoin is a volatile asset with high risk. It is recommended that you only invest an amount that lets you sleep calmly at night, even if the amount invested evaporates completely. This is not just a platitude. 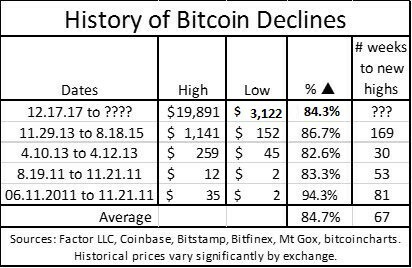 Those who bought Bitcoin near its all-time high in December 2017 are down over 80 percent as of writing this, just a year later. - What is a good price to buy? This is the mother of all questions. With volatile assets such as Bitcoin, it is recommended that you split the buy amount into several parts and durations, to average down the entry price, thereby minimizing volatility as much as possible. - Do not involve your emotions and stick to the above plan. I will say it again, if you do not sleep well at night because of nightmares about the Bitcoin price, no money in the world is worth it. - Ignore any background noise (media and FOMO). Usually, the media outlets will only bother to report when new highs have been reached. This is not limited to Bitcoin because it happens on the stock exchange too. - HODL, HODL, but up to a certain extent: Whoever decides to buy Bitcoin needs to do it for the right reasons. The Bitcoin idea will win as long as there are more HODLers. However, it is ambiguous and incorrect to ignore the issue of Bitcoin’s current value. Therefore, if you believe in Bitcoin, look for a good entry point. What to Learn About Trading Psychology, Discipline and Bubbles From Bitcoin Charts (2017–2018) was originally published in Hacker Noon on Medium, where people are continuing the conversation by highlighting and responding to this story.